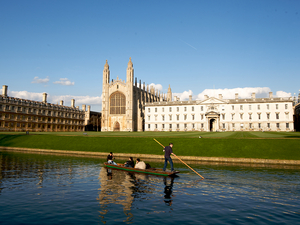 This conference will be held at King's College in Cambridge. The technical sessions will be held in the Keynes Lecture theatre and the catering, poster sessions and exhibition will be held in the Chetwynd room. There are a limited number of bedrooms available on-site in the Keynes Building, King’s College (student style accommodation). Accommodation is available for a duration of up to 3 nights (for the nights of 12th, 13th, 14th April 2015). Accommodation is not included within the registration fee. There is an additional charge for accommodation; Single, en-suite bedrooms are available on a bed and breakfast basis at £85.00 per room per night. You will be able to book and pay for accommodation when registering online for this event.